You’ve just spent a mint on that shiny new iDevice and want to sheath it in something nice, classy, protective and did I mention classy? 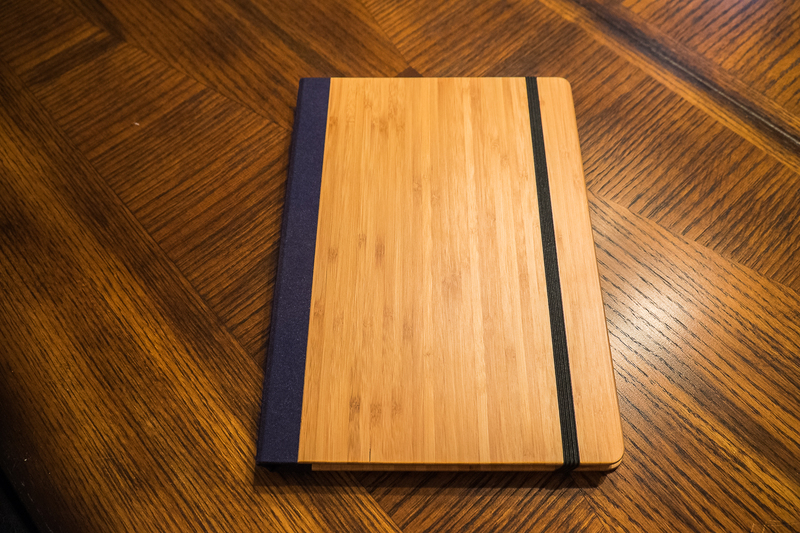 Here’s an interesting option for you: a thick, understated yet elegant bamboo case! This offering is from Primovisto and, while it ticks the boxes for elegant, chic, solid and classy, does it hold up in all the other areas that users expect from their cases? Here is the company logo minimally embossed on the bottom of the back. Notice how the elastic loop that holds the case closed comes out here. 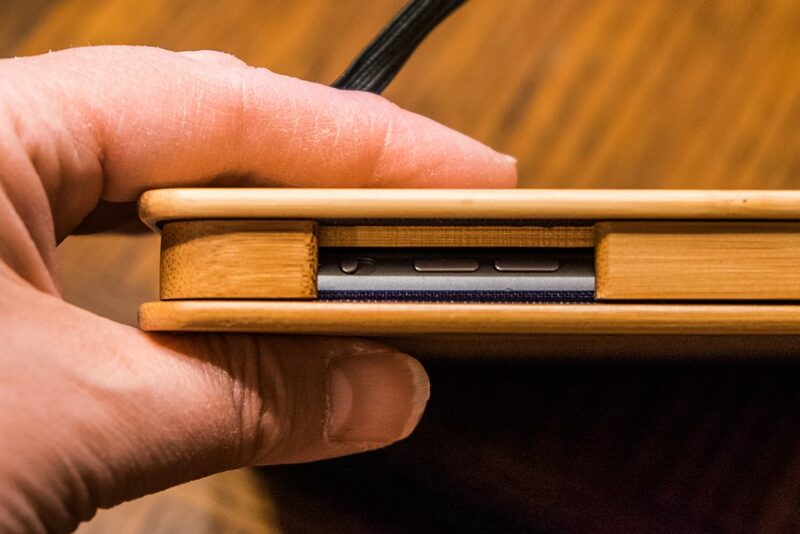 In this closeup you can see the individual strips of bamboo that have been glued together to make the body of this case. 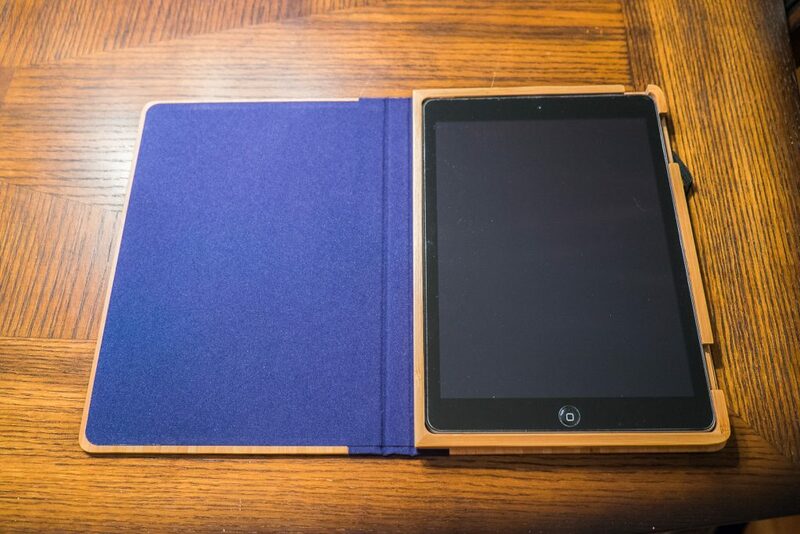 Opening up the case, you can see the frame for the iPad, which is made of maple. This is glued down onto a blue nylon fabric which securely covers the inside of the bamboo. Workmanship here is excellent, the polish of the maple is beautiful and there are no signs that the fabric will work loose, nor are there any air bubbles. This case is very well put together and should last the distance. 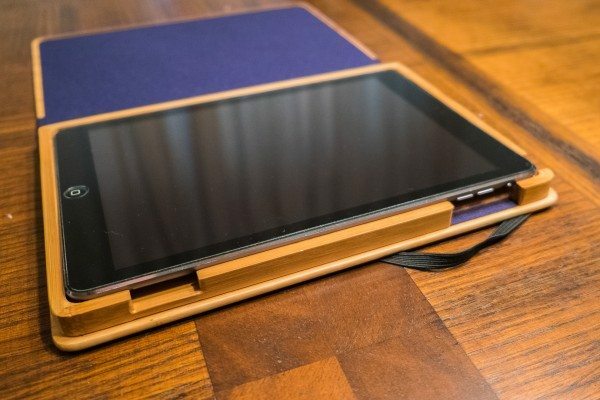 The iPad itself fits snugly and securely into the maple frame and does not come out even when turned upside-down and shaken. 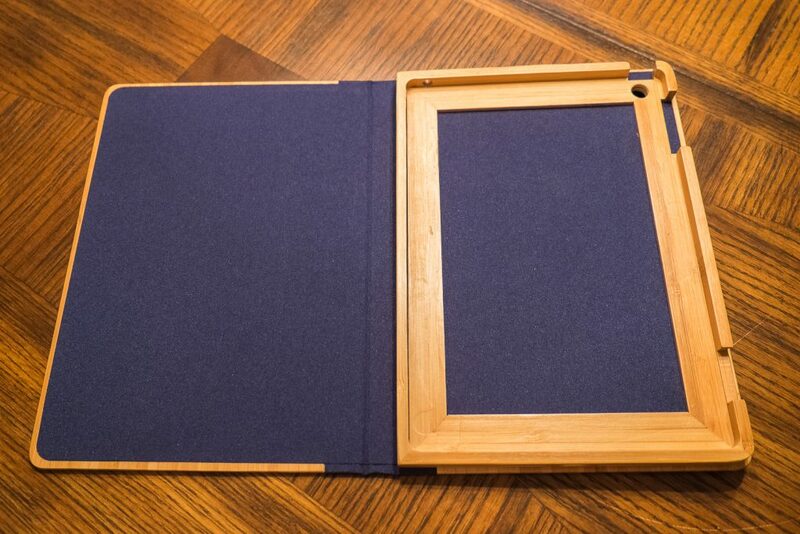 In fact, it’s not all that easy to remove the iPad from the frame. See the two openings on the right side of the frame? One is for the volume control and the other is right over the SIM card slot (mine is the LTE version). A thumb in each with gentle pressure is needed to liberate the iPad from its bamboo cocoon. Here is the iPad resting on the lip of the frame, having just been popped out. Notice how deep the cutouts are? 6mm deep takes you through the frame. This makes accessing the controls a little dicey. It’s not easy to press the power button, given the curved side of the iPad, through this opening. What really makes it difficult is that this is not a smart case. Close the lid and your iPad is still on. I burned through the battery making that mistake more than once, I am so used to using smart cases. Also does not turn back on when opened. This is the one place where this case really misses and is actually the main reason I am not using it as my daily case. You see what I mean about the power button? It’s not easy getting a finger in there, especially not my meaty sausage fingers. The curvature of the iPad increases the difficulty factor. The volume control and screen orientation slider are also fairly difficult to operate when in the case, for the same reason. The curvature puts them at an odd angle given the 6mm depth of wood you have to get through. Not an ideal situation. 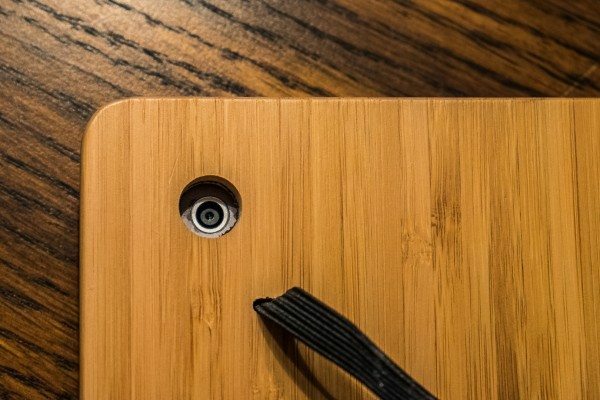 The cutout on the back for the camera does not impede the camera in the slightest despite its depth. This is the cutout for the headphone port. It is very restrictive. 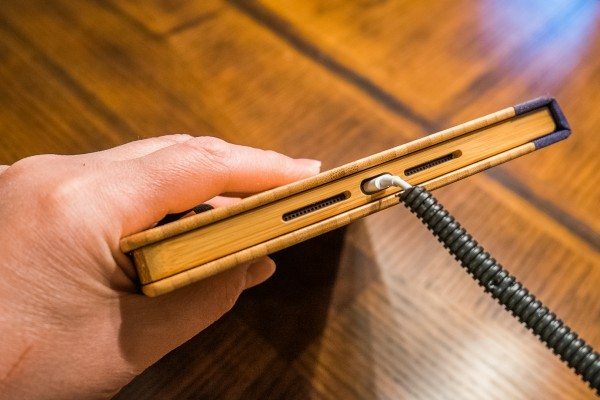 Line In cables will not fit into this hole and if your headphones or earbuds are the kind with a 90″ bend near the end, you can forget about using them with this case. 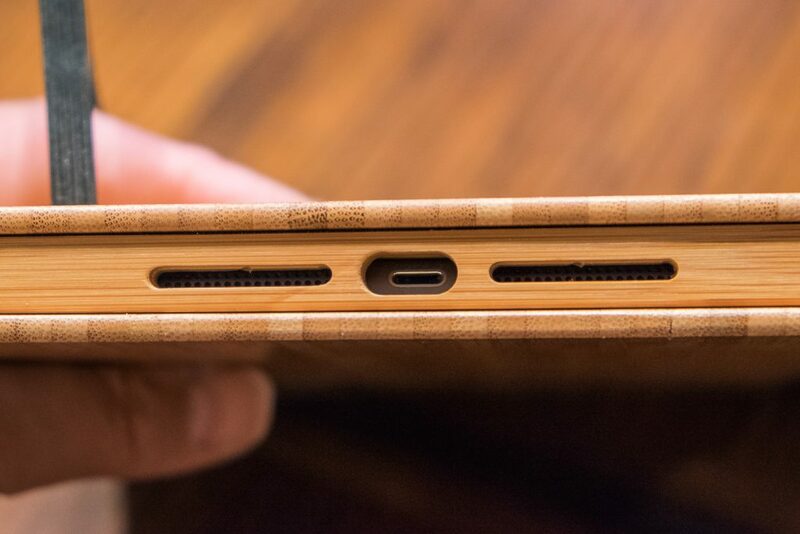 There is a nice cutout on the bottom for the speakers and the Lightning port. The wood does not hinder the sound output of the iPad at all. The cable is a bit more challenging to plug in than I’d like, given how tiny the Lightning connector is and how deep the port sits. Here is the cable plugged in. It’s not easy to get it in there, you have to be pretty delicate yet forceful about it. The black corrugated plastic is to prevent my kittens from chowing down on the cable…learned my lesson the hard way. You can even see a fang mark partway down on it. 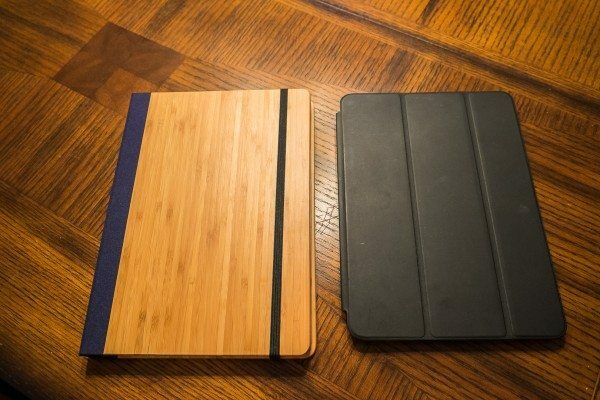 The Bamboo Case is very bulky, especially as compared to the iPad Smart Case. It weighs the better part of a pound. It is one big and beefy case. I didn’t try to see how it would hold up to being dropped but I think it could withstand one drop onto a hard surface, absorb the impact while shattering but only one drop. 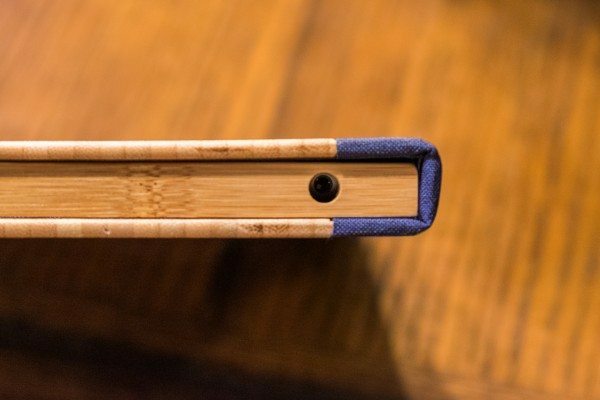 The elastic band fits nicely when new but I have experience with journals of this design and the elastic always gets stretched out over time. No reason to think this would be any different. So, what we have here is a solid, handsome, beautifully constructed wooden case with some issues when it comes to accessing buttons and ports, can only accept select headphones and does not act as a smart cover. If you value form over function, you will absolutely love this case. Otherwise you may find yourself getting frustrated over the long haul with its little quirks. It also does not have any facility to act as much of a stand. It may not make it any easier to use your iPad but you sure will look great while using it! 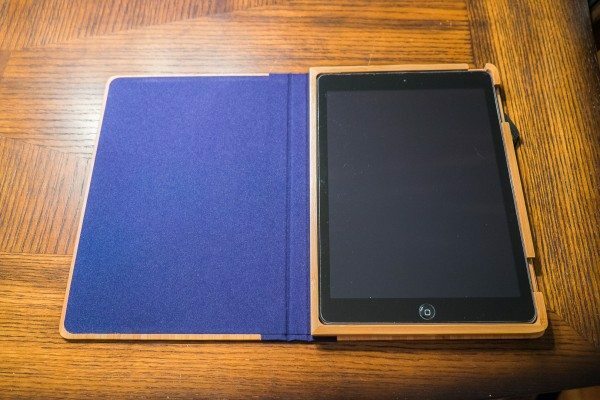 The Primovisto iPad Bamboo Case is available for all iPad models, including the Mini for all generations except the original. Also available in creative patterns. The iPad Air model reviewed here can be had from the Primovisto website for $54. 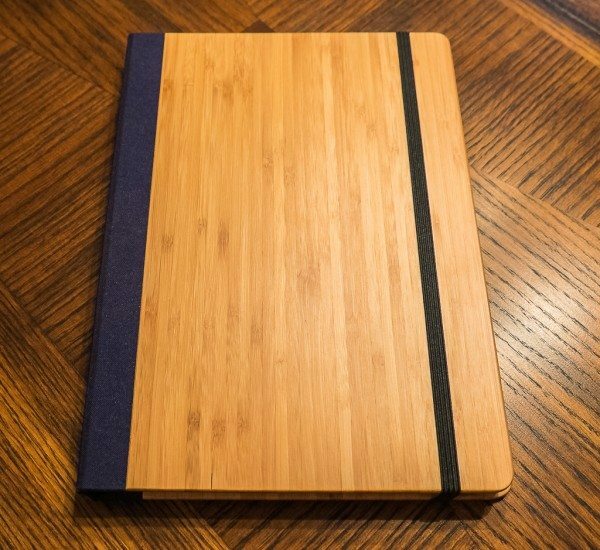 Primovisto iPad Air Bamboo Case review originally appeared on The Gadgeteer on May 6, 2014 at 11:00 am.